These projects are commonly memorials or commemorations of specific, often historical, individuals. We take great pride in researching our subjects to get accurate resemblances. 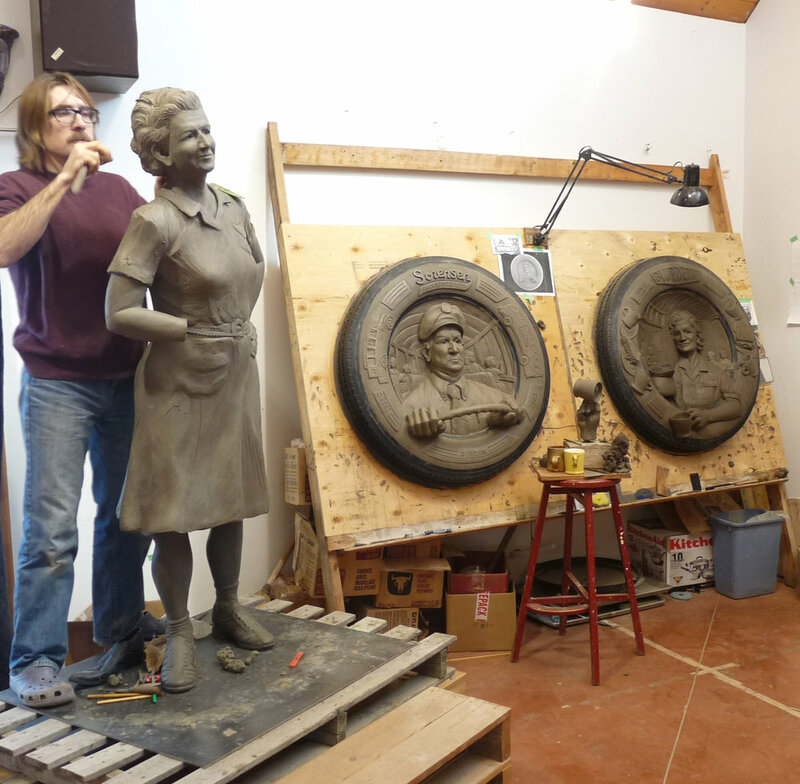 We sculpt the entire sculpture in a type of oiled clay and then commission a local foundry to cast the artwork. This six-piece installation is part of the Ghost Series in Red Deer, AB and includes:A life-size sculpture of Julietta Sorenson waiting on the sidewalk for Gordon, two roundels and three suitcases. This bronze is part of the Ghost Series in Red Deer, AB and commemorates a famous pet beaver. The Forbes family took in as a battered beaver cub, nursed it back to health and named it Mickey. Mickey became part of the family, even living in a lodge attached to the family house and traveling around on photo opportunities during the 50’s.